1. What does a good online shop logo look like? A logo is the first thing seen by an online shop customer. An effective logo has the power to promote your shop, inform customers about its advantages, and set it apart from the competition. A poorly designed logo, on the other hand, may leave people indifferent or confused, and even drive them away. To make a neat online shop logo with minimum time and money investments, use the Logaster online service and follow the useful guidelines below. Each online shop sells certain products to certain categories of clients. Your target audience are attracted by unique attributes your brand has to offer. But there is something common among all clients: any customer is looking for high-quality products, reasonable prices, and reliable online sellers. This is a basic set of attributes upon which you can expand based on your target audience preferences. There are different ways to create a logo. You can either make it yourself (free but time-consuming), get a designer or design studio to do the job (time-efficient but costly), or hold a tender and place an order with the winner (financially savvy but requires more time). There is another option, though. You can use an online logo generator (fast and relatively cheap). While each of these options has its advantages and drawbacks, an online generator seems like the best solution. In this article, we will take you through a Logaster logo-making process. Your logo icon needs to reflect what you’re selling. It may incorporate any item, including household appliances, cosmetics, clothes, and other. Furthermore, consider things closely associated with shopping, such as bags, boxes, shopping carts, discount symbols, etc. Use the logos of other online shops as sources of inspiration. However, try to avoid clichés and trite solutions. 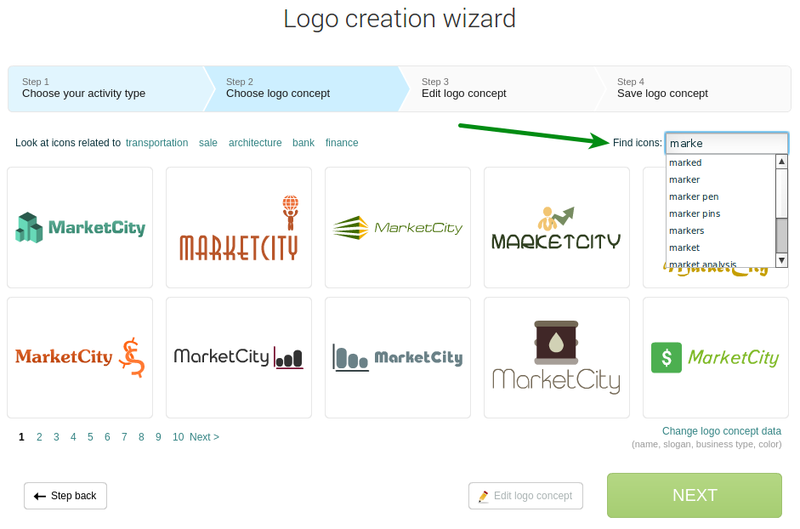 Explore your competitors’ logos without copying them. To get more accurate search results, enter keywords in either Russian or English. You can use such words as “shopping cart,” “shop,” “discount,” “money,” or any product you’re selling. Logaster will display a wide selection of relevant images from which to choose. Logo color is just as important as an icon. Color has the power to attract potential customers or scare them away. When choosing a color scheme, focus on red, blue, and green (plus their shades). In the infographics below, you can see that these colors have the power to put customers into the right mood. Compare your color solution with the ones used by your competitors. This will give you plenty of useful information and a nudge in the right direction. Remember that a multi-colored logo is not always a good idea. If one color does not seem to be enough for you, use 2-4 matching colors. With kuler.adobe.com, creating balanced color schemes will become a simple and enjoyable process. 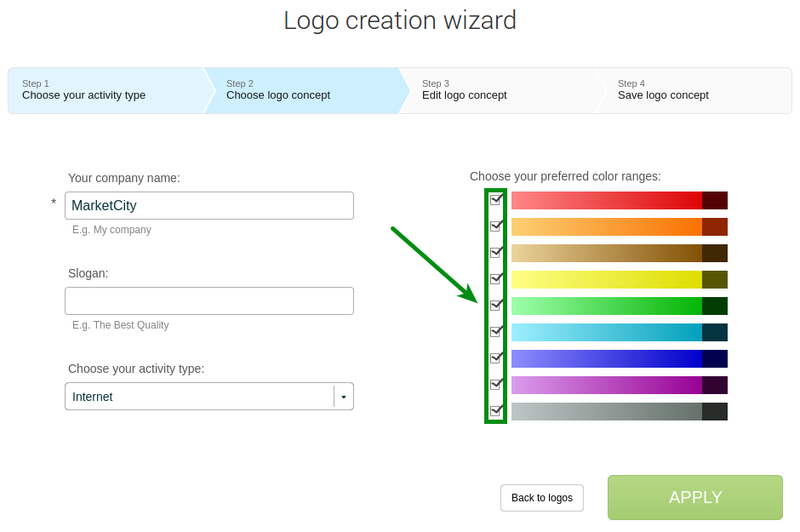 In Logaster, insert the HEX code of your selected color into the relevant field. 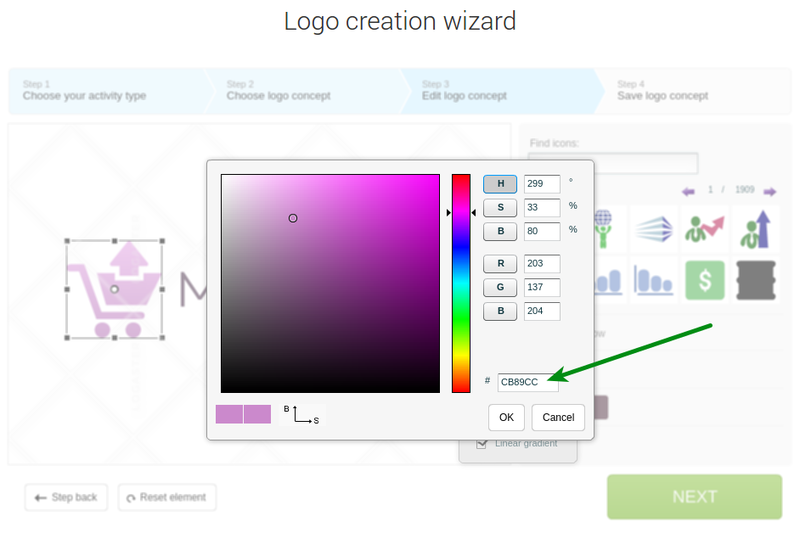 Another option is to click on “Change parameters” in Step 2 of your logo-making process. 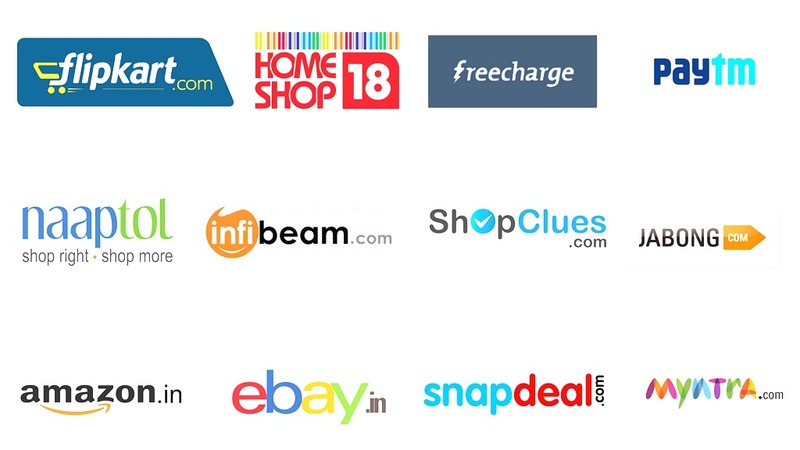 Preferred colors for an online shop logo: blue, red, green. Be sure to select the right font for your logo. 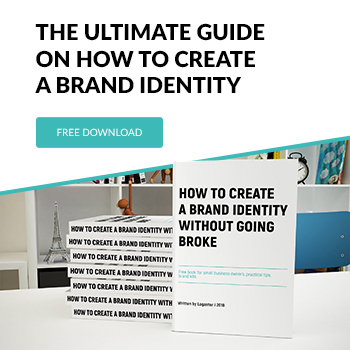 It’s the font that determines how easy to read and recognizable your logo will be. For more helpful guidelines, please read our article, “How to Choose a Font for Your Logo”. Below we’ll consider the main requirements for your logo font. Readability. Logo text is a short message you want to communicate to your customers. The font must be easy to read across formats, from a business card to a banner. Balance. Your font must go well with your icon. A thin and elegant font is a good choice for a refined icon. For a larger image, be sure to use a massive font. Here are some fonts to pair with bulky icons: After Disaster, Europe, Garamond, etc. Avoid small elements. Say “no” to scrolls, serifs, and curves which are common for hand-written fonts. All this will make your text hard to read on a small-size logo. Consider using clean and straight fonts, such as MagistralC, Souvenir, Micra, and others. Logaster offers a wide collection of the best fonts. Each of these fonts may become an ideal choice for your online brand. Logaster fonts for your online shop: AA Haymaker, MagistralC, Garamond, Ubahn, Esqadero, Comfortaa, Caviar Dreams, Prosto, Roboto, Revalia. The way the icon and the text are arranged on your logo may affect the customer’s perception of your brand. So don’t be afraid to change the lock-up! You can focus on the icon or text, play around with lock-up, and adjust the size of elements and distance between them. In Logaster, you can compose the best combination with no effort at all. Finally, here are some helpful guidelines for ensuring the logo-making process goes smoothly. Do not try to squeeze many graphic objects and text messages into your logo. This will make it look cluttered and chaotic. The only things you really need are an icon and a short text (your shop name, slogan, or any other brief message). Use fewer fonts and colors. It must be said that there are successful logos with two fonts. However, such cases are rare, so try to use only one font. Putting multiple colors in your logo, you risk turning it into a bright stain. Stylish and smart logos incorporate one or two colors, plus their shades. Do not try to use up all the blank space. Leave some free space on the edges and between the elements. This will make your logo legible across different products and formats. Create your logo in vector format. This trick will save you time and allow you to reproduce your logo on surfaces of any size. Do not imitate your competition. Examine their accomplishments, learn from their experience, draw conclusions… but craft your own unique logo which will be better than its prototypes! We hope that we have showed you that creating a logo is quite possible. The Logaster online service and some useful recommendations are all you need to excel at this task. 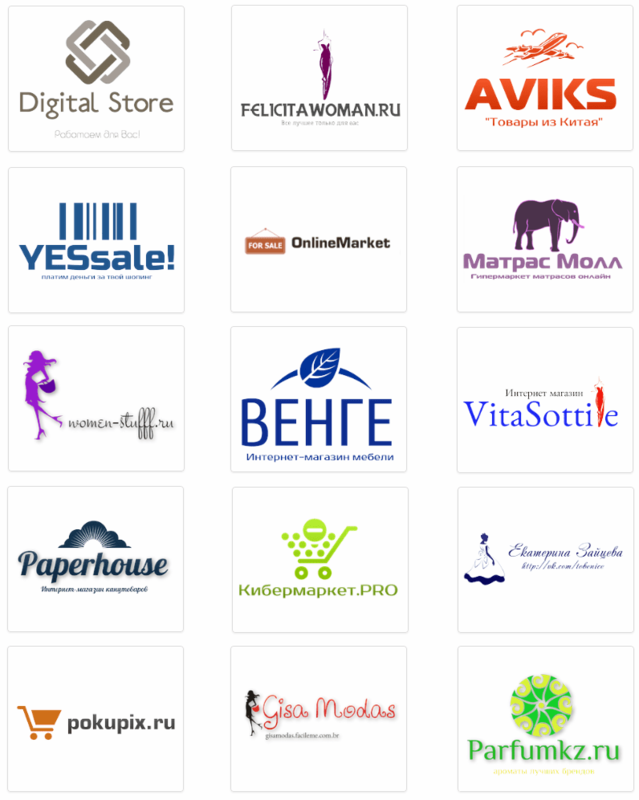 By the way, our gallery offers a wide range of online shop logos generated by Logaster. Now give it a try and create a logo for your online business. 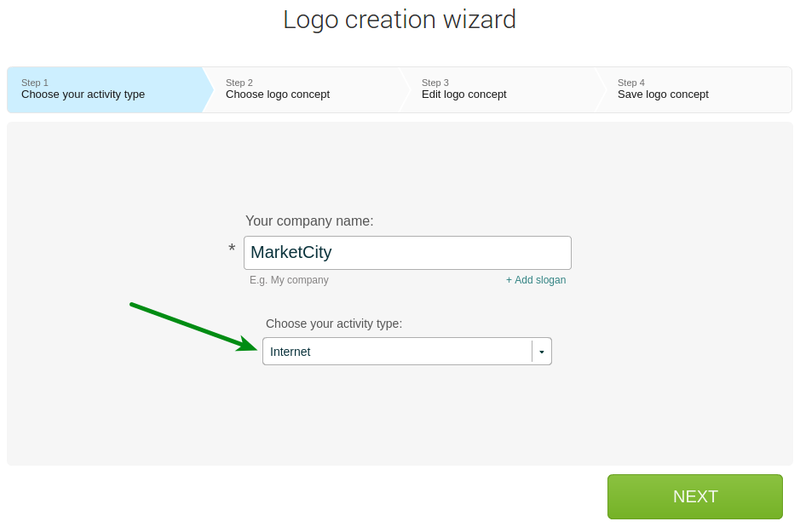 Enter your company name – and see hundreds of options offered by our smart platform! How to change the background of logo via Inscape or Photoshop?